Emma Newashe was a member of the Sac and Fox tribe in Oklahoma. The Sac and Fox tribe, also natively called the Sauk and Fox tribe, used to be two separate tribes until they were forced to combine due to the federal relocation into Iowa and later Oklahoma. The Sauk tribe was at first violent against the American Western Expansion and many disagreements occurred within the tribe, but in 1869 eventually the tribe finally agreed to relocate to east of Oklahoma City in the Potawatomi, Lincoln, and Payne Counties. 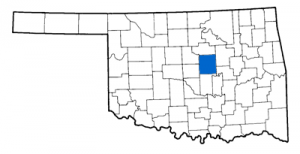 The Sauk and Fox tribe were given 750,000 acres of land at a reservation east of Oklahoma City and in 1891 the rest of the land was allotted to White Americans leaving only 1,000 acres for the united tribe. Although the Sauk and Fox tribe was appointed land east of Oklahoma, most of the Sauk tribe split off into Mexico or fought for their own division’s land in America. While much of the Fox tribe bought land, almost 5,000 acres, in Iowa, the Fox tribe is currently the only federally recognized tribe in Iowa. The tribe likes to call themselves, the Mesquaki Indian settlement, but since the two tribes jointly signed the treaty to relocate, the tribe is known as the Sac and Fox Nation of the Mississippi in Iowa. Now the two tribes are united on three different reservations in Iowa, Oklahoma, and Missouri and only 3,700 Americans claimed to be apart of the Sac and Fox nation in 1999. The two tribes were originally reported as having about 20,000 members in the mid 1600’s by the French, and now only about a quarter of their population is in America. The Native American nation has been wrongly named and mistakened as Sac and Fox since the French-Indian War in the 1600’s. The Fox tribe called themselves, Mesquakie meaning “red earth people”, and the French mistakened a division of the tribe called Wagosh meaning Fox as the whole nation of people’s name. The Sac tribe, natively known as Osakiwuk, was also simplified by Americans to be the Sac or Sauk nation. After Native American specialists, found that the Fox tribe were called the “red earth people,” they inappropriately rendered the Sac tribe as “yellow earth people.” The two tribes, originally the Osakiwuk and the Mesquakie, were named by the Native Americans based on their home origins. The Osakiwuk (Sac) and the Mesquakie (Fox) tribes were named due to their native homeland close to the Saginaw Bay in Michigan before they were forced to relocate. Their origin and homeland is often reflected on in auditory stories like Emma Newashe’s written iteration, “The Merman’s Prophecy”. The tribes although seen as a joint nation, Sac and Fox, were once two very individualistic and even “warlike” tribes, but were forced to sign and given land collectively in Oklahoma, Iowa, and Missouri. The Fox tribe fought two wars with the French during the initial French colonization. In fact, the first French and Fox interaction began with bloodshed. Although both the French and American imperialists had a hard time controlling the tribes during colonization, over the last 100 years Native Americans and Americans have gotten along fine in neighboring properties. One difference between the Sac and Fox tribes and other tribes were their abilities to live in large groups during the winter season. The tribes both spoke and speak in dialects of Algonquin. The Sac and Fox nation has dealt with several periods of relocation and many people have died fighting for their land. Two Native Americans highly regarded within the Sac and Fox nation are Jim Thorpe and Sac chief, Keokuk. Keokuk of the Sac tribe is the only Native American chief that has a city named after him and who had a featured image on the Indian Nickel. Emma Newashe’s “The Merman’s Prophecy”, conveyed an origin story that reflects these many relocations and homeland ties and values. The Missouri River mentioned in this piece was the tribe’s most valued resource, water. The various references to water used in her piece echoes the tribe’s high value for the need for water and the need to live near a body of water. Fish, mermen, and water are valuable ideas to the tribe’s survivability as the merman prophesied in her piece. The age dynamic in the piece also follows the Sac and Fox tribe’s patrilineage and filial piety. One last concept significant to the Sac and Fox tribe presented in her iteration of the origin story is the idea of fasting. Fasting occurs in this tribe to develop self-discipline and serves as a rite of passage for boys to become men and may be seen in Newashe’s legend. 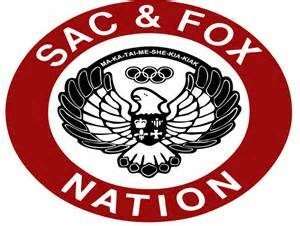 Newashe’s tale serves as a cultural and historical significant piece to her origin, the Sac and Fox nation. This entry was posted in Assimilators, Emma Newashe and tagged Assimilation, Culture and History, Origin Story, The Arrow, The Carlisle Arrow, The Red Man, tribal home, white-Indian relations. Bookmark the permalink.